Minimalist and functional forms are characteristic to designers Salla Luhtasela and Wesley Walters. The designer duo presents their designs at exhibition Katettu at Helsinki Design Week on 3–13 September 2015. Functional, minimalist forms that highlight each material’s tactile qualities are the essence of the minimalist objects on show as part of the Katettu exhibition. The show is dedicated to Helsinki-based designers Salla Luhtasela and Wesley Walters, who both specialise in ceramic tableware and wooden furniture. 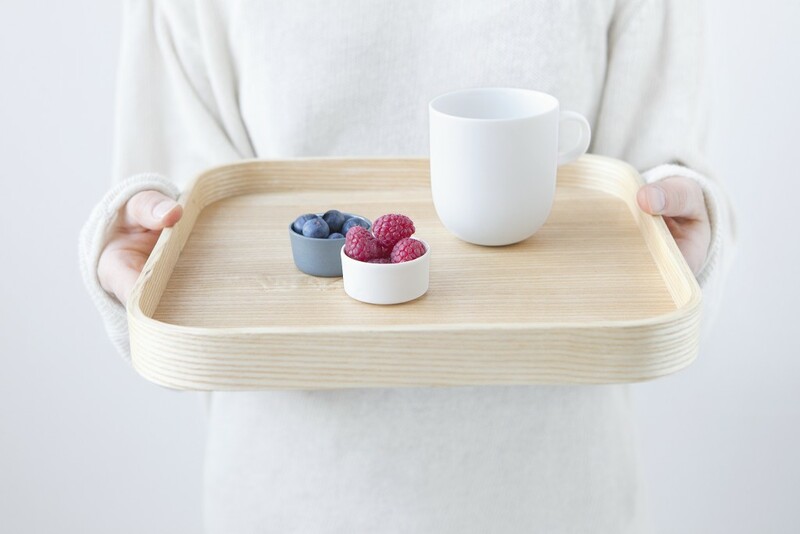 Luhtasela and Walters present a series of minimalist wooden trays and ceramic tableware originally designed for Helsinki-based organic restaurant Ask. The rounded, delicate forms and materiality of the wares are accompanied by the Maissi bench – reduced to bare necessities. 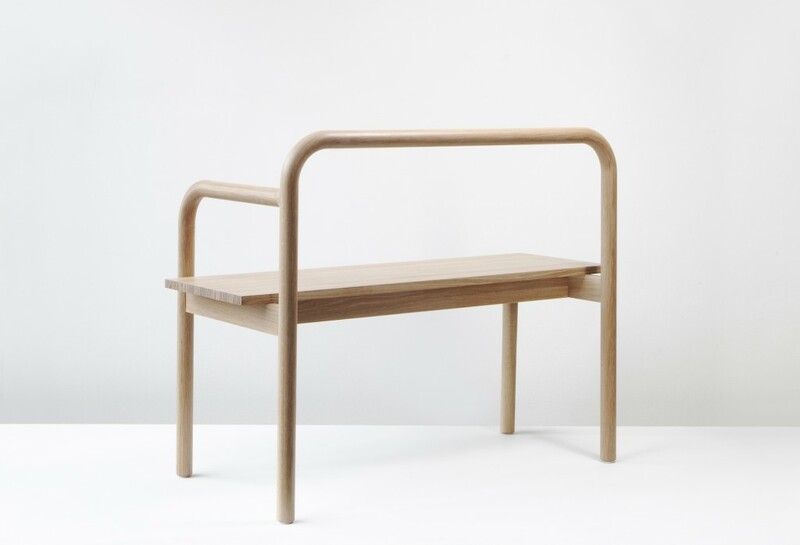 The bench, originally designed for an exhibition of Finnish design mounted in Mexico, combines inspiration from Mexican culture and the formal simplicity of Nordic furniture. 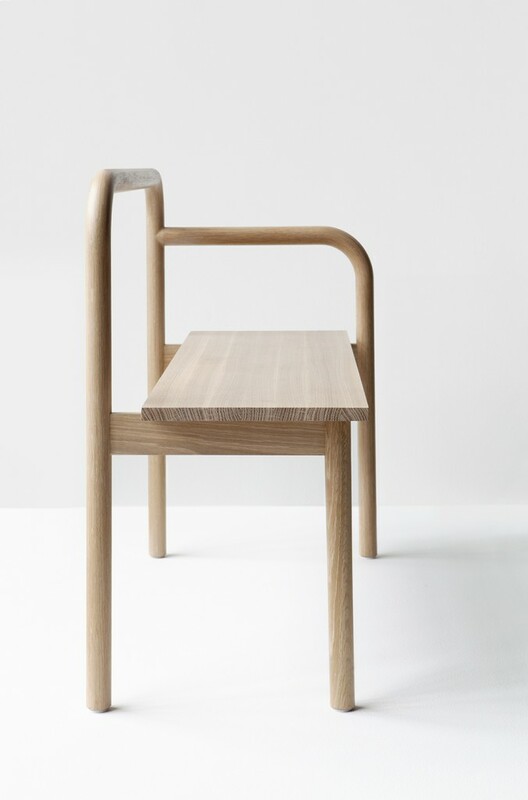 The designers took inspiration from cylindrical steel handrails and utilitarian structures developed for 1930s and 1940s Helsinki factories and residential buildings, and bent the wooden, pared-down frame to recreate the aesthetic in different material. 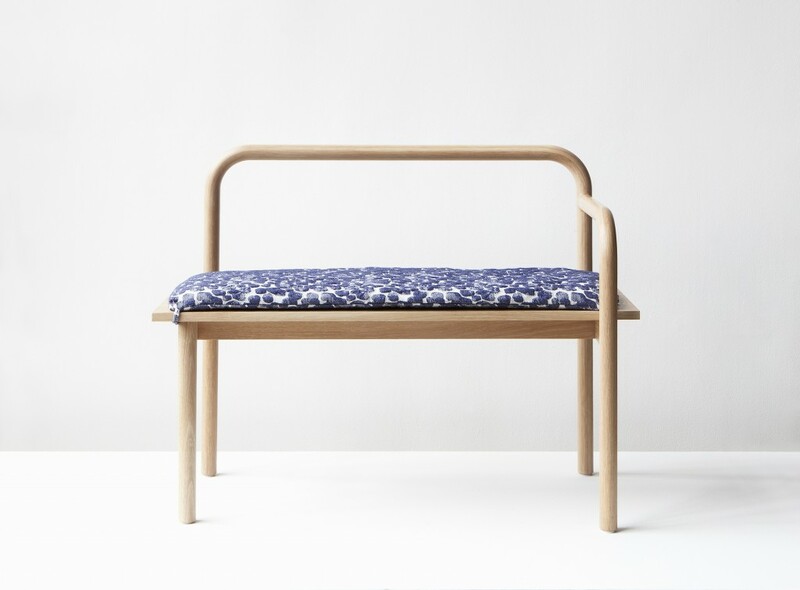 The bench’s removable textile was made in collaboration with textile designer Kajsa Hytönen. The fabric resembles the form and texture of blue corn – a significant culinary and mythological element in Mexican culture. 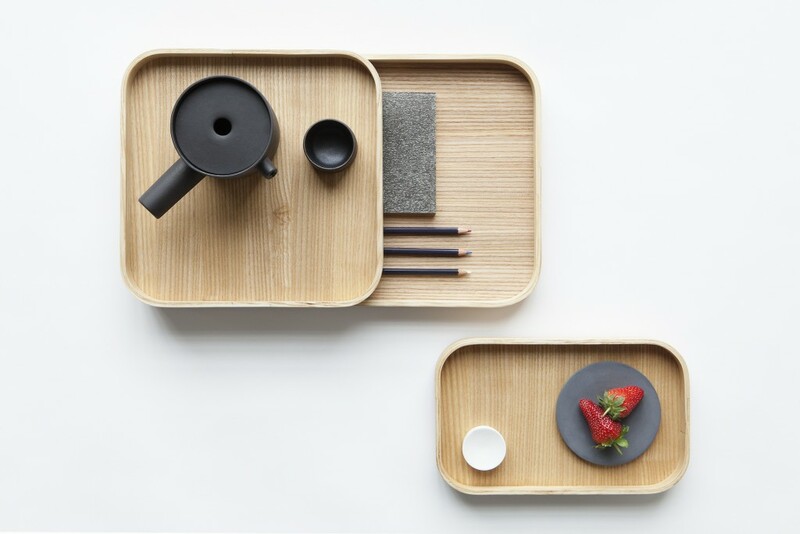 Each of the objects are handmade by Luhtasela and Walters, who began collaborating during their studies at Aalto University School of Arts, Design and Architecture. Katettu exhibition takes place at L3 Design Dock during Helsinki Design Week from 3–13 September 2015. The L3 harbour warehouse, designed by Lars Sonck in Jätkäsaari, Helsinki, serves as Helsinki Design Week’s main venue.